As you know, I was in Atlanta last month. My favorite part was all the food, besides visiting my awesome sister, of course! Seriously, southern comfort food makes my heart eternally happy. 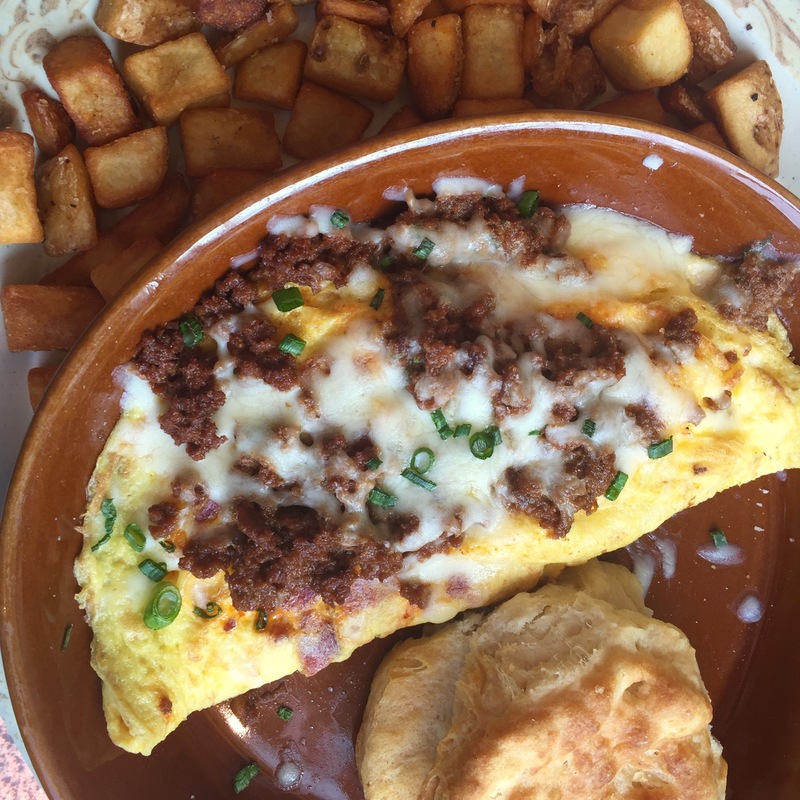 On another round of Atlanta brunches, today I’m sharing photos from Another Broken Egg, a delicious chain restaurant that left me in a state of happiness and sleepiness, all in one meal. Baked brie for breakfast? Sure, why not? 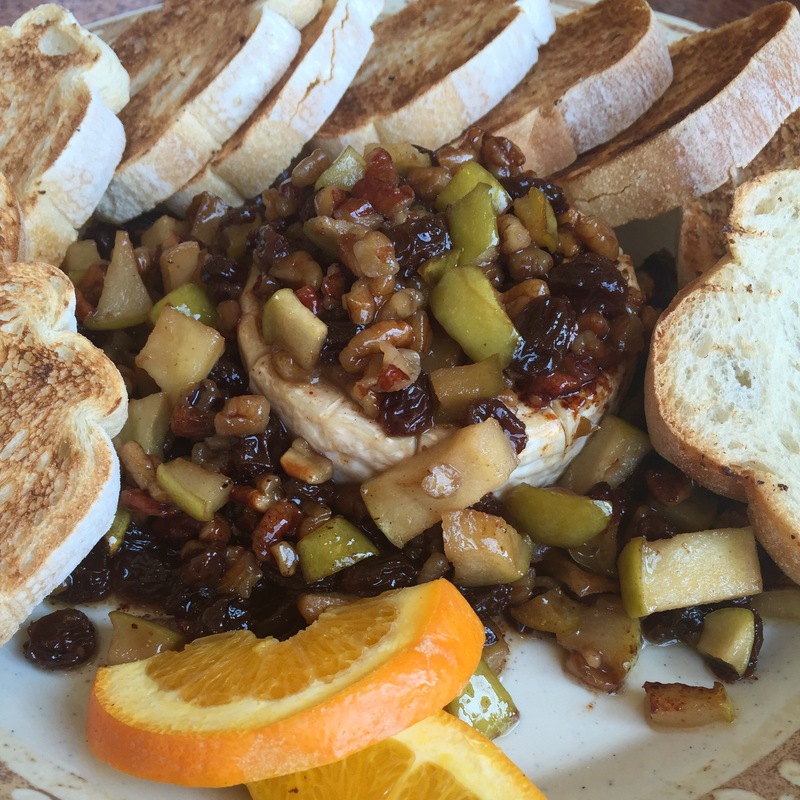 We ordered the delicious baked brie delight as an appetizer. It had apples, pecans and raisins sautéed in a Grand Marnier butter sauce over warm Brie cheese with toasted French bread. YES TO ALL THE BRIE. Another Broken Egg actually has a really nice variety of breakfast options. You can go healthy, semi-healthy or you can go all out like me and order the Bacquezo. This cream cheese & bacon filled omelette with breakfast chorizo, Monterey Jack & green onions is basically heaven and hell on a plate. I never thought a cream cheese-filled omelette would be so good. I actually could not finish this, but that was honestly the best way to go. Now, here comes the best part. 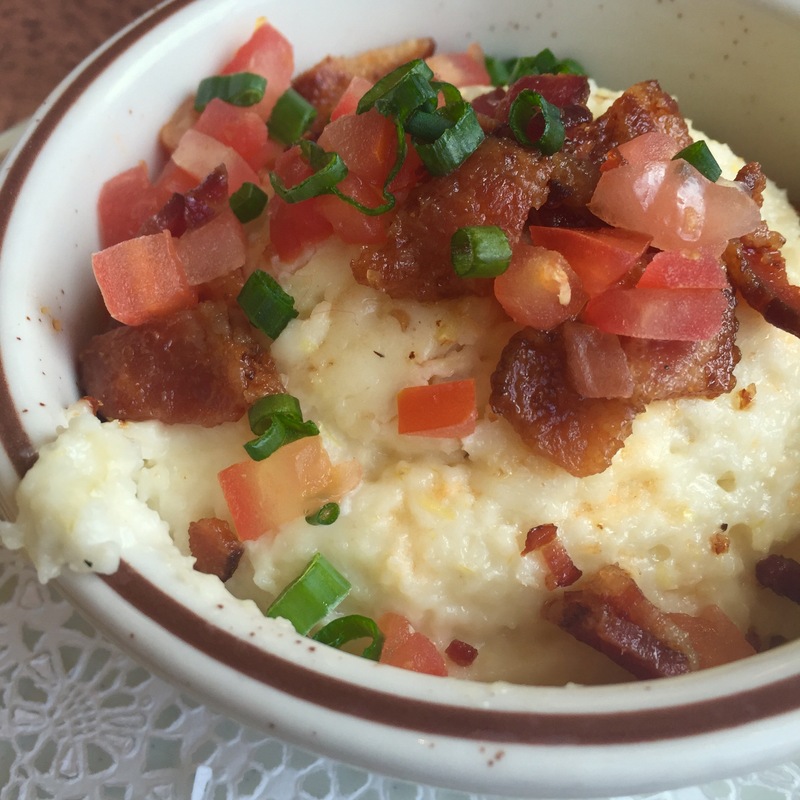 We all know biscuits and home fries are great as sides, but nothing beats a nice bowl of grits. Unless of course, you are talking about city grits, creamy southern grits, roasted garlic, onions & smoked Gouda cheese, topped with baked bacon, tomatoes & green onions. I mean, I think the picture speaks for itself. I’m gonna go ahead and let you drool for a little bit. I might head to ATL next month! I’m glad I ran into this post! Exciting, ATL has so many delicious food options! Have fun!